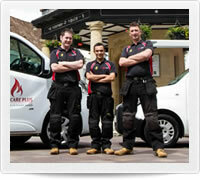 BGM Heating and Plumbing Ltd provides heating and plumbing services in Newbury, Thatcham and surrounding areas. The company has been operating in the local area for over 15 years and we are very proud of the high level of customer service that we deliver to our valued customers. BGM Heating and Plumbing has thousands of satisfied customers and is recognised locally as an honest, reliable and professional company. Why choose BGM Heating and Plumbing? You will receive a premium quality service that is second to none. We take great pride in our reputation as an honest, professional and reputable firm. Our pricing is fair and clear from start to finish and our aim is to leave every customer 100% satisfied. BGM Heating and Plumbing take training very seriously. Our Engineers are qualified in LPG/Natural Gas, Plumbing (water regulations), Un-Vented Hot Water, City and Guilds 2377-601: In Service Inspection and Testing of Electrical Equipment and are WRAS approved Legionella Prevention and Water Treatment Operatives. Other general qualifications include Asbestos Awareness, First Aid, Health and Safety, Manual Handling and Working at Heights. Our Engineers are CRB Checked (a copy is available on request) and they regularly attend manufacturer training courses so as to keep up to date with new products entering the marketplace. Training and reassessment is carried out yearly to keep up with current legislation and the ever changing face of the heating and plumbing industry. Testimonials can be found on our CheckaTrade page. BGM Heating and Plumbing have been proud members of checkatrade since January 2011. We have hundreds of really positive comments from our loyal customers. We work hard every day to deliver the best service possible and it is genuinely satisfying to receive so many great comments in return. We are proud to be recommended by Trading Standards and are part of the Buy with Confidence scheme. We operate in full compliance with Trading Standards recommended procedures and advice and we are regularly monitored. We are members of the Gas Safe Register (previously CORGI) covering the full range of domestic gas work (LPG and Natural Gas) and comply fully with all of the many regulations in place. We are fully insured, as you would expect, and our cover is for up to ten million pounds. In the unlikely event of accidental damage caused to your home we will have it back to normal as soon as possible. The company is owned and run by Barry Eldred. 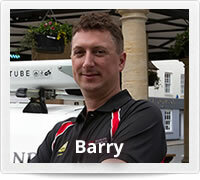 Barry started his heating and plumbing career as an apprentice with British Gas. After a three year apprenticeship and a further eight years as a Gas Service Engineer in 2004 he left British Gas to set up BGM Heating and Plumbing. 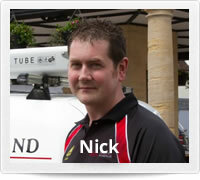 Nick Moss joined the team at BGM Heating and Plumbing in February 2013 from a background installing and maintaining gas systems and appliances on boats. Nick worked very hard training and building his experience and is now fully qualified in all aspects of domestic gas/unvented hot water installation, service and repairs. We have had very positive feedback from our customers after Nick has visited their homes and thank him for delivering the high level of service and professionalism that our customers demand and deserve. 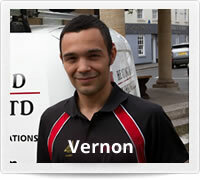 Vernon Pocock joined BGM Heating and Plumbing in 2012 from a background of Electrical Engineering. Vernon worked hard as an Apprentice learning the Heating and Plumbing trade and with dedication and commitment became a fully qualified Gas Installation Engineer in October 2016. Vernon now leads our Installation Team and has his own apprentice working with him, the feedback from our customers is fantastic and Vernon is a great role model for our regular work experience youngsters. Ben Crittenden joined BGM Heating and Plumbing as an Apprentice in 2015 and is working hard to complete his level two NVQ in Heating and Plumbing. Ben is supported by West Berkshire Training Consortium and attends college once a week. Ben spends the rest of his time working with our fully qualified engineers practicing the skills he has learned during his training. Ben works very hard and is a valuable member of the team. We regularly take on work experience persons and enjoy having them join our team, we hope that they take away some skills and knowledge that will benefit them in the future as they enter the world of work. Our small team of Engineers are devoted to the highest level of safety, quality and customer service, we are constantly tweaking our operations to ensure we are delivering the very best service possible. Service and Breakdown Visits are subject to a minimum charge of £80.00 + VAT (regardless of time spent on site). We do not offer "free quotations" for breakdown work. We install, service and repair GAS appliances only, minimum charges apply if we are unable to complete work on appliances using a fuel other than natural or liquid petroleum GAS.